REGISTRATION NOW OPEN for All Programs! A season pass is required to participate in our program. 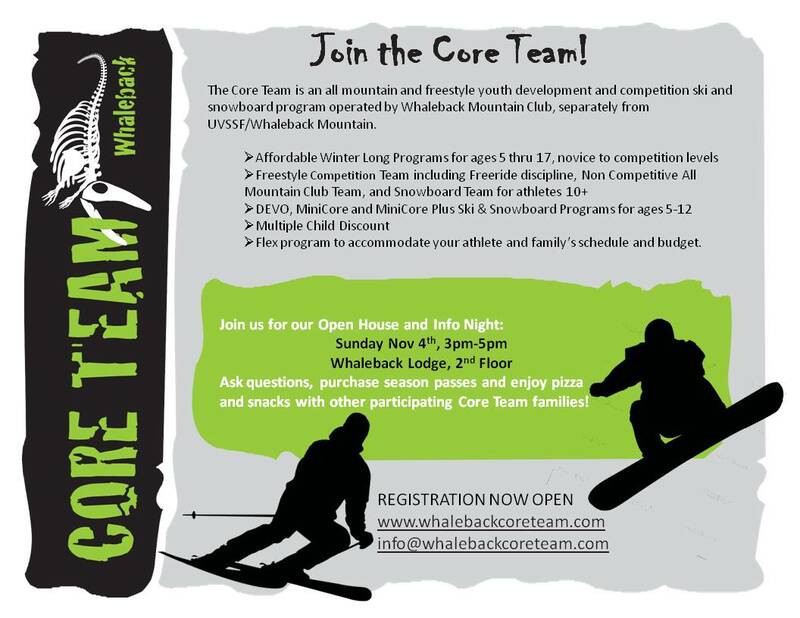 Whaleback offers the "Training Pass" to CORE Team Athletes at a discounted price until 12/1. Family, Enfield, 3rd Grader and Honor Roll passes are also accepted. The Core Team generally begins sessions the first Saturday after New Years and will run 10-11 weeks thru mid March. We will notify athletes and families via email with details once the mountain is open. Core Freestyle will begin training as soon as the mountain opens in mid December. Whaleback Mountain Club will not be offering a learn to ski/ride group. Please see Whaleback Mountain ski school for more options to start your athlete on the path for winter fun and excitement, in a sport we all love and promote. Please be sure to review our program descriptions to ensure each athlete is registered for the correct group based on the athlete's skiing ability and age. You may use our Flex program to adjust the training schedule and cost of each program. If you cannot ski or ride with us on Tuesdays...no problem! Use the Flex program pricing as part of your registration. NEW: We will be ordering Core Team ski jackets for all athletes. Stay tuned for more details. Samples will be available to try on at open house.